The Pros — GOH Run! Our Elite Athlete Coordinator and Recruiter, Nate Brannen! Profile Nathan Brannen is a middle distance runner from Canada, specializing in the 800m, 1500m and mile events. Brannen is a 3-time Olympian in the 1500m for Canada and has been competing professionally for 12 years. Coming out of high-school as a sub 4-minute miler, his career took off while competing at the University of Michigan where he won 4 NCAA Track and Field Titles, 6 big Ten Titles, and was an 11-time All-American in Track and Field (8) and Cross-country (3). Nathan has been one of the top 1500m runners in the World for more than a decade. Nathan is the Canadian record holder in the Indoor (2:16.86) and Outdoor (2:16.51) 1000m, Indoor Mile (3:54.32), and Outdoor 2000m (4:59.52) and is the previous record holder of the Junior 800m (1:46.60) and Indoor 800m (1:47.71). 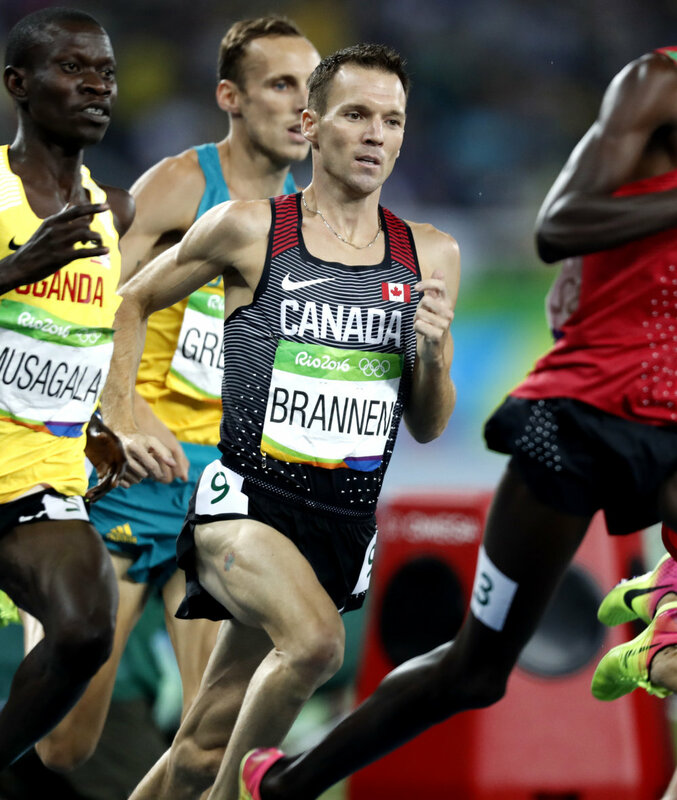 Most recently, Brannen finished 10th at the Rio Olympic Games in the 1500m event. Meet Olympic Medalist Nick Willis! Introducing Nick Willis. Nick is the first of our elite field to be announced. He is a two time Olympic medalist at 1500 meters, with a silver and bronze medal win for New Zealand. Nick's personal best for the mile is 3:49.83!